Hit play for the song, “All-Star, ” by Smash Mouth. Presently, over 145 million views and counting on YouTube at this moment by the way. Miami Heat guard Goran Dragic was not the sharpest tool to make Team LeBron’s All-star team but when the roster is looked at years down the road it will not matter. The NBA announced that Dragić has been named by Commissioner Adam Silver to the NBA All-Star Team in replacement of Cleveland Cavaliers injured Kevin Love. Dragić, who will be making his first NBA All-Star appearance, will be the eighth player in franchise history to earn NBA All-Star honors. He also becomes the first player from Slovenia to earn the honor. It will be played at the Staples Center on Sunday, February 18, in Los Angeles. This season, Dragic is averaging team highs in points (17.0) and assists (4.8) while shooting 43.7 percent from the field. He has helped lead the Heat to a fourth-place spot in the Eastern Conference standings despite injuries up and down the roster specifically from starters center Hassan Whiteside and guard Dion Waiters who had season-ending ankle surgery. Heat coach Erik Spoelstra has spoken highly on Dragic’s candidacy for the All-Star team leading up to the selections. Now that he is officially attending the franchise is joyous in the moment with him. “Goran we feel is an All-Star. We’re just thrilled that he got recognized by the other coaches and he’s going,” Spoelstra stated. Dragić began the season scoring at least 17 points in eight consecutive games, the third-longest streak of 17-plus points to start a season in HEAT history, behind only LeBron James and Dwyane Wade. He also connected on at least one three-point field goal in each of the first 14 games of the season, marking the longest such stretch to start a season in his career. Speaking of the number three. 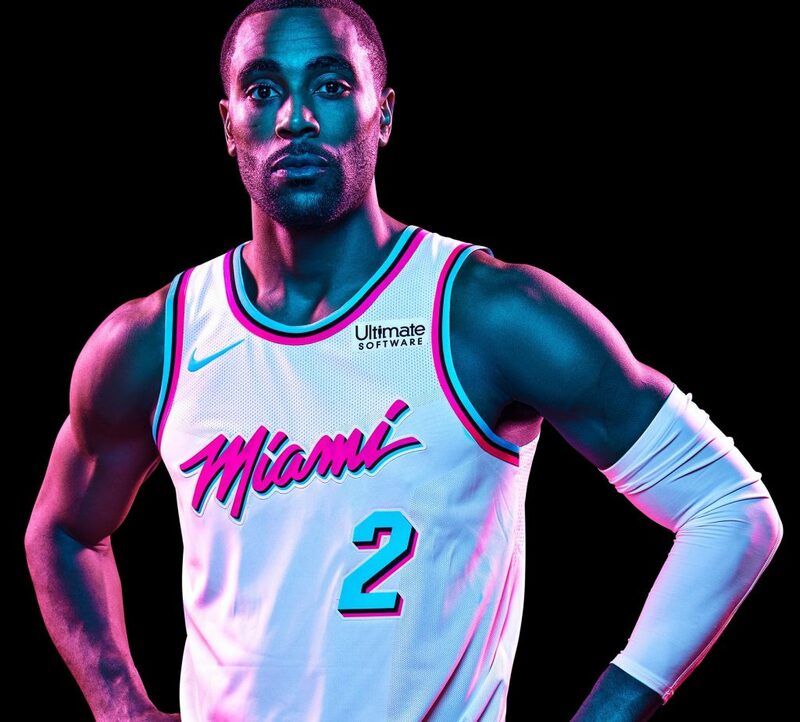 HEAT guard Wayne Ellington is taking his talents to Los Angeles for the weekend also. Ellington has been selected to participate in the JBL Three-Point Shootout at the All-Star Saturday Night event at the Staples Center on February 17. Ellington will become the seventh HEAT player to be represented in the event, joining James Jones (2012 & 2011), Mario Chalmers (2012), Daequan Cook (2009 & 2010), Jason Kapono (2007), Glen Rice (1991 & 1995) and Jon Sundvold (1989 & 1990). Additionally, four different HEAT players (Jones in 2011, Cook in 2009, Kapono in 2007 and Rice in 1995) have won the event, the most players by any team in NBA history. Ellington has currently connected on a team-high 153 made three-point field goals this season, with 144 of those coming as a reserve, marking the most off the bench (30 more than the next highest player) and the fourth-most overall in the entire NBA. He has already surpassed his career single-season high for made three-pointers, which was 149 from last year. The team is still molding per say, days ago before the announcements, the Heat were in a position to secure the No. 3 spot in the Eastern Conference standings. In their recent 103-97 loss at the Philadelphia 76ers. They shot just 39 percent from the field. The Sixers led by many as 28 before holding off a late fourth-quarter rally. With the loss, the Heat fell from fourth to fifth in the conference standings. The Heat visit the Detroit Pistons on a back to back. Pistons recently picked up the talents of Blake Griffin in a trade with the Los Angeles Clippers.